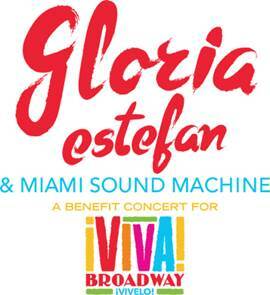 The Broadway League has announced the date for Gloria Estefan & Miami Sound Machine: A Benefit Concert for Viva Broadway. The concert will take place on Monday, September 14th at 8:00pm at the Minskoff Theatre. Tickets will go on sale on Saturday, January 24. Audience members can expect to hear their greatest hits including: “Get On Your Feet,” “Conga,” “Rhythm is Gonna Get You,” “Mi Tierra,” and more! The Broadway League’s Viva Broadway initiative is an audience development partnership with the Hispanic community to help bridge the world of Broadway with Latino audiences around the country. The long-term initiative aims to increase awareness about Broadway while culturally enriching lives, bringing families together, and building new careers in the theatre. Proceeds will go towards The Broadway League’s Family First Nights®, a nationwide program specifically designed to encourage economically at-risk families to attend theatre on a regular basis. Tickets range from $69.00 to $169.00. In addition, a limited number of VIP Packages will be available to the general public and include a pre-show champagne reception with Emilio Estefan, premium seats to the concert and post-show meet and greet cast party with Gloria Estefan and the band. Tickets can be purchased at www.ticketmaster.com or by calling 800-745-3000.